It's time for spring cleaning, and in addition to cleaning out gutters, many Minnesotans will be hauling out old TVs, computers and other electronics and recycling them. Minnesota is a national leader in electronics recycling, thanks in part to a law that requires manufacturers to take responsibility for their disposal. But even as many people upgrade their gadgets, it's clear some will hold on to old ones for a long time. Take the 1990s-era tube TV that sits in many a basement. Anyone who has one could take it to a Best Buy store and recycle it for free, but many people likely haven't gotten around to it — in part because it still works. That wouldn't surprise Scott Weislow, senior director of environmental services for Best Buy. He oversees all of Best Buy's trash and recycling, including its electronics recycling program. "Would you be surprised if I told you that as the head of the largest retail collection program in the world, I just recycled my tube TV about two weeks ago?" Weislow asked. Even though many consumers are buying new stuff, they're slow when it comes to getting rid of their old items. "I think that's it,"Weislow said. "I truly do believe it's a Midwest mentality, and we see it not just in Minnesota, but we see it in Wisconsin, Illinois, Iowa." The four states are among Best Buy's top locations for volume collections. When people do finally do get rid of the old electronics, it's not an easy chore. They're big and heavy. Best Buy, which collects nearly 120 million pounds of electronics nationwide every year, aims to collect another 2 billion pounds by 2020. "We're pretty well under way against that goal already," Weislow said. 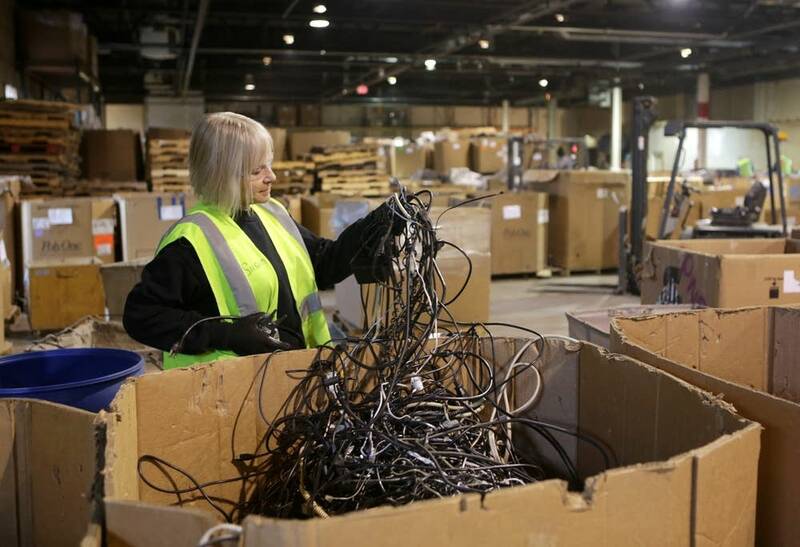 Commodity prices have come down, making it tough for those who recycle electronics, but Weislow said Best Buy strives to make its recycling program a "break-even operation." "It's just a value that we feel we owe to our customers," he said. "We're the largest retailer of the materials, so we have an obligation to do something. So yes, there's pressures financially, we're doing all right, we're holding our own, but there's a much bigger story behind it." Best Buy isn't the only one collecting consumer electronics. Other retailers as well as recycling companies, nonprofit groups and county solid waste departments also are helping keep computers and TVs out of landfills — important because some of them contain toxic metals like lead. Overall, Minnesota ranks among the top states in the nation for the weight of electronics recycling per capita. 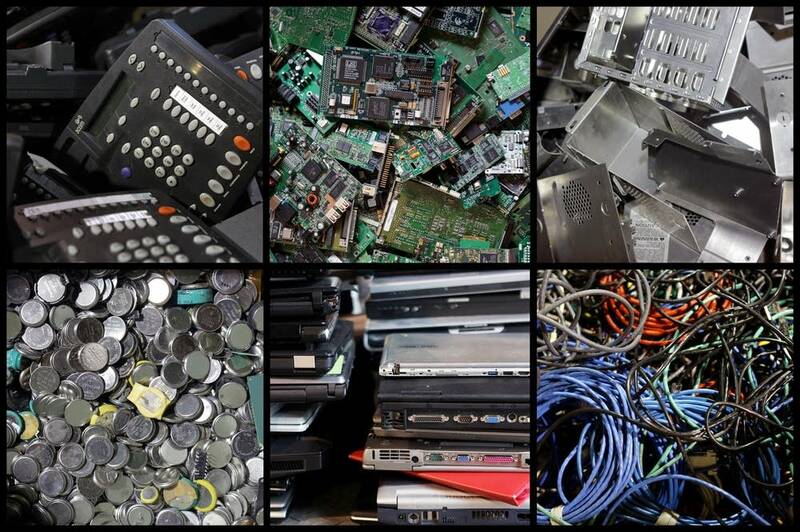 Garth Hickle, who oversees product stewardship for the Minnesota Pollution Control Agency, said the state law making manufacturers take responsibility for old electronics is nearly eight years old, and he would have expected the weight to go down by now. "We'd actually like to see it go down, and that will indicate that we've really made some significant progress in getting those old products out of people's garages and basements," Hickle said. "And if you just look at how much lighter products are now, it inevitably will happen, we would just like to see it happen sooner." Generally, Minnesotans are replacing electronics more often than they used to. Although they sometimes break, often consumers simply want the latest technology. That mentality can lead to more waste, but it can be reduced if there's enough demand for used stuff, such as in other countries. Paul Gardner, executive director of the advocacy group Recycling Reinvented, said consumers in the United States may not want to fix some electronics because it is too much trouble or the labor cost would be too high. "Someone in China might fix your old flat screen and make it work properly and make a couple bucks off it," he said. "That's not a bad thing instead of having it ground up." But Gardner said Minnesota and the other 24 states that require manufacturers to take responsibility for recycling electronics don't get credit for taking a laptop and giving it another life. "So there's a desire by electronics recyclers to change those state laws to make reuse more appealing, and I think one could make an argument that environmentally that'd be more positive as well," he said. Meanwhile, MPCA officials suggest the current law should be changed to account for the fact that newer devices are a lot lighter. Currently manufacturers are responsible for recycling 80 percent by weight of their products sold in Minnesota. 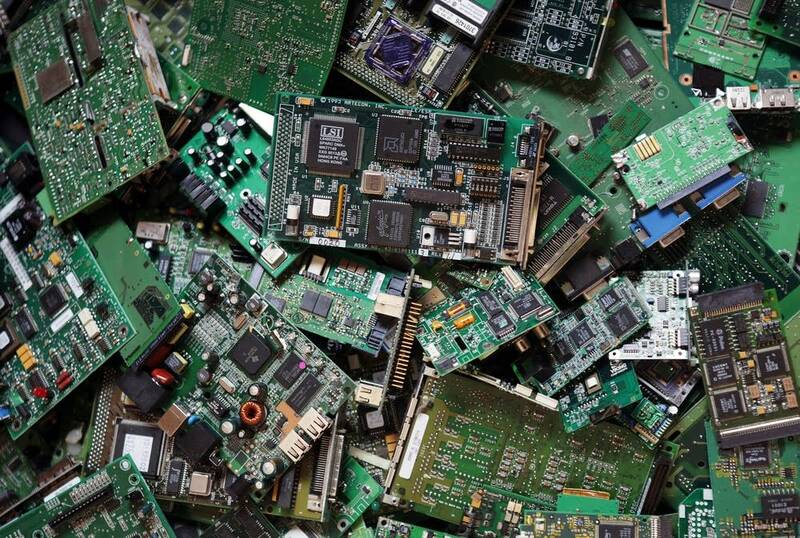 Tech Dump, a nonprofit that collects and processes electronics in St. Paul and Golden Valley, aims to recycle about 5.5 million pounds of electronics this year. On any given day, virtually anything will come through the doors of Tech Dump's warehouse in St. Paul. The organization employs felons and others who might have a hard time finding a job elsewhere. People can drop most types of electronics off for free, but there is a fee for old TVs and computer monitors because there's a cost to dealing with the hazardous components inside them. 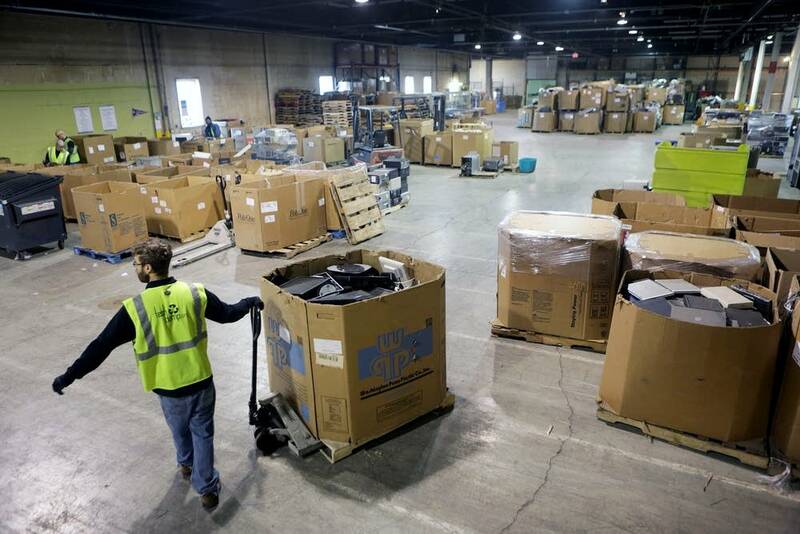 Inside the warehouse, the first step is to figure out if something can be refurbished and resold or recycled. "That decision happens here," said Amanda LaGrange, Tech Dump's marketing director. "These are all computers that came in and they have a wonderful Windows XP sticker on them, so they're destined for recycling." The warehouse has dozens of huge cardboard boxes filled with hard drives, batteries, computer mother boards separated based on the value of their precious metals. It also has a huge tangle of cords of every kind. "I think cords are some of the items that people don't always realize can be recycled," LaGrange said. "So they're cleaning, maybe they're moving, they stick it in their garbage bin unfortunately, where there is a lot of precious metals inside that goes to a processor, gets melted down and maybe becomes their next phone charger." Tech Dump has scheduled 40 collection events this month at sites around the state to give people a convenient place to get rid of their electronics in neighborhoods or workplaces.